Monday, March 28th, 2016 at 4:57pm. April 2nd is Lord & Taylor's Shop Smart, Do Good event! The event supports local non-profit organizations, such as the Westfield Historical Society. Shoppers can purchase a $5 ticket which gives them one 15% off coupon (including cosmetics and fragrances) and two 25% off coupons for regular or sale items. Last year, participating organizations raised over $527,000! So, stop by and shop with great discounts on April 2nd! Tickets will be sold at the door. 609 North Ave, Westfield. 908-233-6600. Fun Fact: Since 2006 this program has raised over $9,000,000. Tuesday, March 15th, 2016 at 3:51pm. 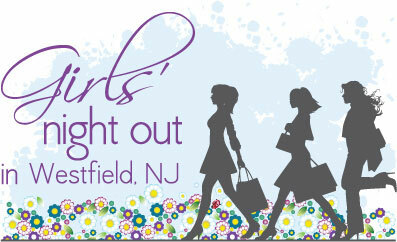 Ladies, grab your girl friends and get ready to enjoy Westfield’s Girl’s Night Out on May 5, 2015, 5:00 - 9:00pm. Westfield’s GNO is sponsored by the Downtown Westfield Corporation. Tuesday, March 8th, 2016 at 4:02pm. Who says you have to be Irish to celebrate Saint Patty’s day? There is a lot to eat and do in Westfield to get into the lucky holiday spirit. Bridget’s Irish Cottage located on 15 E. Broad Street is the place to go for all things Irish. Get delicious, green bagels at Manhattan Bagel on 210 South Ave.
Yummy shamrock cookies are available to you at Carlo’s Bakery on 21 East Broad Street. Nothing hits the spot like Irish soda bread and green peanut macaroons from Bovella’s Pastry Shoppe at 101 East Broad Street. 16 Prospect Wine Bar & Bistro (16 Prospect Street) and The Office Beer Bar & Grill (411 North Ave) are both great places to try some Irish whiskey, or Irish coffee.